Russell Welding Bung - Dezod Motorsports Inc - Home of the automotive performance enthusiast since 2002. 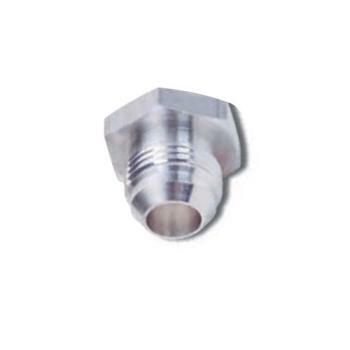 Russell Aluminum Tank Welding Bungs are designed for connecting your fuel hose to your fuel cell. Manufactured from top-quality 6061 aluminum, these bungs are available in a variety of sizes to fit any aluminum fuel cell application. They feature a welding lip to prevent the threads from warping during the welding process. Male and female versions are available.